Read our full The Walking Dead: Season 2 review. 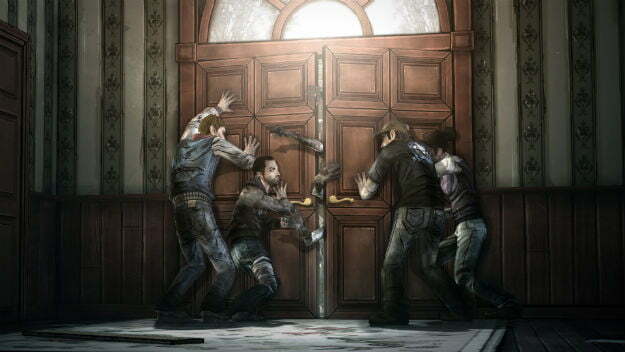 Telltale Games’ The Walking Dead has been a massive hit for the company. After years of working on vintage franchises like Sam & Max, cult adventures like Strong Bad’s Cool Game for Attractive People, and licensed fan service like Back to the Future, The Walking Dead is the game’s that’s propelled Telltale into the upper echelon of game developers. Myriad game of the year awards, near perfect reviews and 8.5 million episodes sold; it’s no wonder that the studio is already working on the next “season” of the game. Telltale’s only now starting to shed light on what’s next for the series, but one thing’s for sure: It’s working hard on figuring out how to carry players’ progress from one season to the next. Those that have finished the first series are likely very curious to discover how their changes are reflected in the new episodes.